The companies will begin developing a custom sensor for Orion's Easyhaler line of inhaled pulmonary drugs. Propeller Health’s digital respiratory health platform will be making a bigger splash among European patients thanks to a partnership announced yesterday with Finnish pharmaceuticals and diagnostics company Orion Corporation. Starting in 2019, the companies will begin co-development of a custom-built Propeller sensor for Orion’s Easyhaler line of inhaled pulmonary drugs. These new sensors will connect to Propeller's wider digital medicine platform, which allows users and providers alike to track medication use. "By connecting Easyhaler to Propeller's digital platform, we are giving our patients and their providers a new ability to improve the user experience of Easyhaler products and help patients better adhere to the treatments," Satu Ahomäki, Orion's SVP of commercial operations, said in a statement. 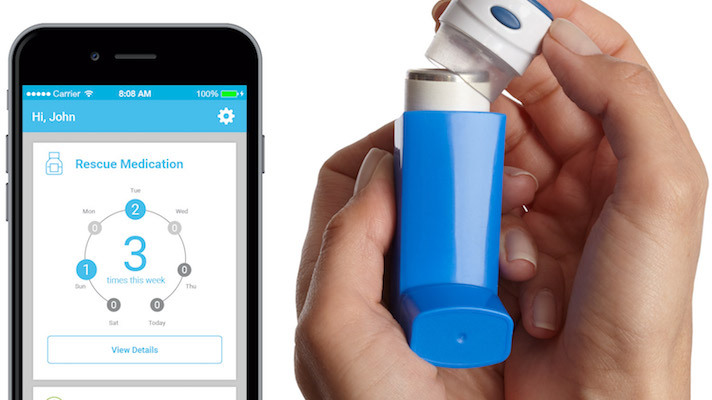 "We are thrilled to take this step to reduce the burden of asthma and COPD via a digital companion to our medicine." Orion’s presence across multiple European countries is an advantage for Propeller as it beefs up its international profile. Meanwhile, a number of European patients already using Easyhaler products will soon be introduced to a digital ecosystem that, ideally, could help promote adherence and appropriate use of the medications. Propeller’s biggest recent headline is its acquisition by ResMed, another maker of connected respiratory devices, for $225 million. This deal was announced back in December, and closed in January. Beyond this, the smart inhaler company has also been announcing a number of new distribution partners, including Walgreens and Anthem BCBS Ohio. "People and their physicians are eager for medicines that put digital to work to improve their treatments and quality of life," David Van Sickle, cofounder and CEO of Propeller Health, said in a statement. "This partnership with Orion is another significant step toward reducing the burden of chronic respiratory disease for people around the world."